R1: Ch 100, sl into first chain to form round, 100 dc around, total 100 sts, sl into 1st stitch to join. R2: ( 2 fpdc across, skip 1 st, V stitch into next st, skip 1 st ) x 20 times around, sl into 1st stitch to join. R3: ( 2 fpdc across, ch1, skip 1 st, dc into next ch1-space,ch1, skip 1 st ) x 20 times around, sl into 1st stitch to join. R4: ( 2 fpdc across, skip next ch1-space, V stitch into next st, skip next ch1-space ) x 20 times around, sl into 1st stitch to join. Repeat ( R3 and R4 ) alternately untill you reach R26. Use yarn needle to thread around R1 and fasten off the top. 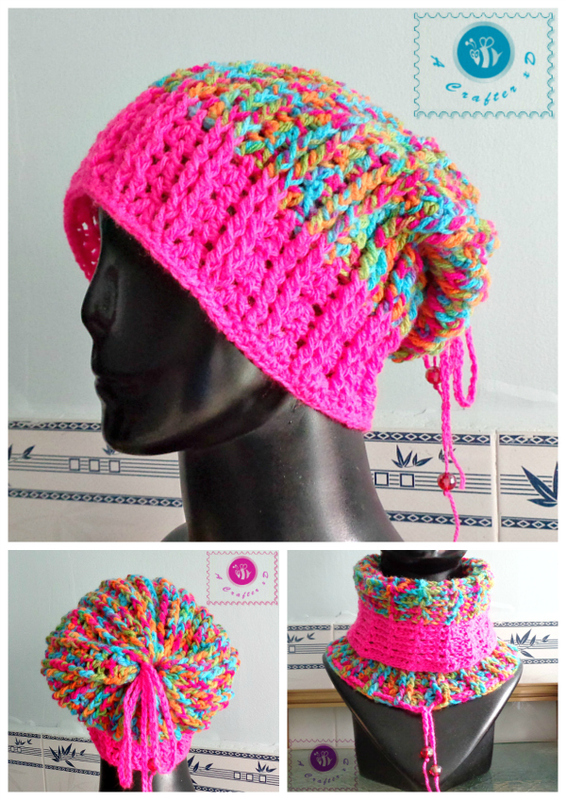 I chose variegated yarn and vivid colors for female version. Crochet a chain and string beads onto yarn. Use it as a drawstring cord at the top. 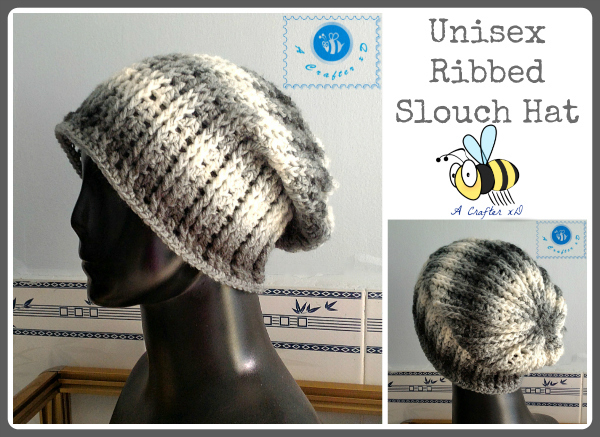 This slouch hat can be used as a lovely cowl, too. 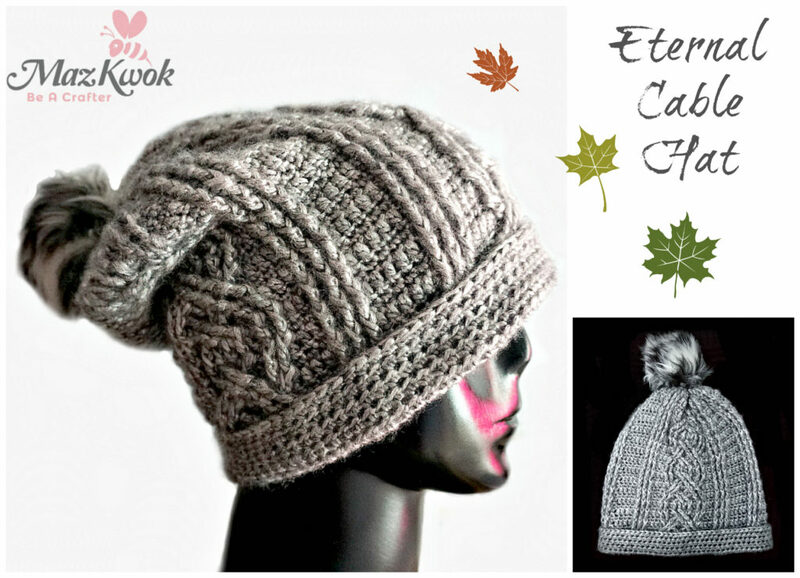 This is a very cool pattern, am just learning about using post stitches to make ribbing on hats will be adding this to my To Do pile, grin thanks!